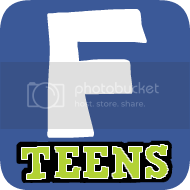 Please welcome Amy Fellner Dominy, debut author of OyMG to teensreadandwrite.com. 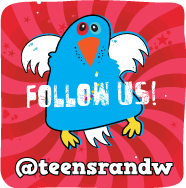 She's been kind enough to stop by and answer a few questions on her Teen Book Scene blog tour. 1. We saw you have a background in theater. How different or difficult was it to go from writings scripts to writing novels. The sad truth is that I started out writing books and discovered that I loved writing dialogue and hated writing descriptions. I would read beautifully written, lyrical passages in books and try to do the same in mine—with no luck. In the meantime, I was winning contests for dialogue and had so much fun with that. So—brilliant idea—why not write plays? With plays, I didn’t have to describe settings or people. I could tell a whole story just in dialogue. So, that’s what I did. But my dream was always to write books, so I shifted back. I still write most of my rough draft as dialogue scenes and then I’ll go back and craft descriptions later. 2. Your character faces some religious prejudice, were her experiences drawn from some you faced? Though Ellie is a different person and facing a different situation than I ever faced, there are similarities. Ellie is the only Jewish kid at the summer camp, just as I was one of the only Jewish kids in my school when I grew up. Like Ellie, I never wanted to hide my faith—until something awful happened to me. I was fired from a babysitting job when the family found out I was Jewish. Because of that incident, I wanted to explore the question of what would a person be willing to hide? All of us are different in our own ways. But how do we handle it? 3. OyMG has been made into a play! Who would you have play your main characters? Zeydeh, Ellie’s grandpa, would be played by Ian McKellan. Ian played Gandalf in LOTR and was so wise and powerful but also mushy-hearted for his hobbits. Need him, definitely! For Mrs. Yeats, scholarship benefactor and potential Evil Queen, I’d say Meryl Streep because wasn’t she just so chilly-licious in The Devil Wears Prada? For Devon, resident hotty, I need someone dark and handsome. Smart. With a sharp sense of humor. And hypnotic blue eyes. Any names? And for Ellie…no one seems exactly like Ellie. The model on the cover of my book looks the way I imagine her. I wonder if she can act? 4. Holy Cow! You've just obtained superpowers! You're Super Hero name is: The Magnificent Norse Rapper Supreme Cypertronian Transformering Enchantress! What are your powers!? I can dress like a Norse goddess--golden demi-bra, short black skirt with frayed edges, wicked high heels—and look dang good. Even up close. 5. "Boom goes the dynamite!" says David Beckham as he kicks a soccer ball into the nearest zombies face. "You just got," He puts on his deeply tinted sunglass, "red carded." "Quickly Amy! You have to get to the chopper! The fate of the world depends on it" He pleads. You see the chopper idling beyond a sea of Groovy-licious Disco Zombies! "It's dangerous to go alone. Take one of these!" He motions to a table containing a ride-on lawnmower, rope-dart, a Canadian, a Phoenix feather, Mjöllnir :The Hammer of Thor, and a sword crafted by the great and terrible Lovecraftian manifestation of Darkness and Horror, Cthulhu. Which one do you choose and how do you reach the chopper?! What? And leave David? Because if it’s one of those times when his hair is a little longish and if he’s not wearing a shirt then I’m thinking the world will understand. We totally understand about David - even Jake and Gregory can appreciate his appeal! Alyssa, well, she just drools. Love the sound of that goddess costume. And as for an actor for Devon, how about Ian Somerhaulder ...he's probably too old but with looks like that, who cares? Or how about Robbie Amell? Thanks for stopping by! 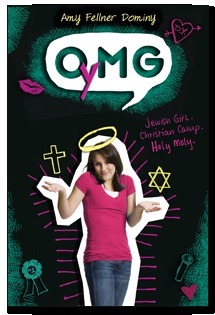 OyMG sounds like a sweet read and is available now! Ellie Taylor loves nothing better than a good argument. So when she gets accepted to the Christian Society Speech and Performing Arts summer camp, she's sure that if she wins the final tournament, it'll be her ticket to a scholarship to the best speech school in the country. Unfortunately, the competition at CSSPA is hot—literally. His name is Devon and, whether she likes it or not, being near him makes her sizzle. Luckily she's confident enough to take on the challenge—until she begins to suspect that the private scholarship's benefactor has negative feelings toward Jews. Will hiding her true identity and heritage be worth a shot at her dream? I did not get the title at first, must be having a slow day, or well it is evening so tired. Oh this sounds like a sweet book. Loved the interview. I really like these type of books. Amy - glad you liked them! Study away! I'm still drooling. Thanks for visiting, we really enjoyed the interview! Linda - the title is cute! Don't worry, Oy! we all have slow days. Melissa - always glad for an eye candy excuse! OyMG looks adorable. And I love great dialogue! Splash Into Summer Giveaway $10 Certificate! We're Video Guests at THE UNREAD READER! THE FAERIE RING Bookmarks Giveaway! Becca Fitzpatrick's SILENCE Cover Reveal!